Have a question? Hopefully we can help! What do walks consist of? Our walks are 50-60 minutes in length and will either take place in your own neighbourhood or at an off-site location. On our walks, we encourage positive behaviour through basic training. We allow 10 minutes after our walk for clean up and cuddles. We try our best to return your pup in the same condition as when we picked them up! We require that Fido be up-to-date on their vaccinations or have a valid titre test acquired by a vet. We ask all owners to please disclose all necessary information regarding their dog's health, behaviour, etc for safety of other dogs and handlers. Do you offer off-leash walks? Typically, all private and pack walks are offered on-leash only. We strongly believe that your furry friend will come home just as tired and happy as if they spent an hour off-leash. Our off-leash options are only available to members that pass a long & strenuous reliable recall test before let them off-leash. Our walkers have the right to refuse dog owner's wishes of having their dog off-leash. Do you still go for a walk if it's snowing or raining? We generally like to walk rain or shine! If the weather is absolutely not in our favour, we will reschedule our walk for another day the same week. Though we always try our best to return your pup in the same condition as when we picked them up, be aware that sometimes they may have some residue of the elements left on them. If you're worried, we'd be happy to secure them in a crate or other designated area at these times. What about when it's too hot or too cold? We are very conscious of the temperature and have your pups health & safety at our best interest. If temperatures raise too high or dip too low for ideal walking conditions, we will reschedule for another date that same week. Sometimes on warm days, we will change up your pups route & bring them to the local watering hole for a dip! We provide lots of H2O & air conditioned transportation for warm days & perfectly heated transportation for the cooler days! We ask you to provide a proper fitted collar(with tags) and a 4' or 6' leash, however please be aware that we may use our own equipment for convenience or safety purposes at no extra cost. For the more energetic pup, we will offer him/her the option of a RuffWear Approach Dog Pack. *Please note: we DO NOT use flexi(retractable) leashes for the safety of the pack and leader. We require all our clients to give at least 24 hour notice of a cancelled or rescheduled walk/trek. Failure to do so will result in a cancellation fee due at the beginning of their pups next walk. 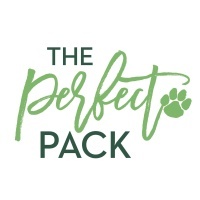 The Perfect Pack likes to stay eco-minded meaning invoices for all dog walks and treks are done once a month, at months end, via e-mail. If you prefer a hard copy of your invoice please let us know. Currently, we take certified cheque, cash or e-transfer. *13% off discount offered to clients who pay for 6 consecutive months of walking per invoice. What about Ticks? Burrs? Fleas? We suggest that all of our clients are up to date on their flea and tick regimes during the crucial months of the year, especially if your furry friend is involved in our trek program. During the high season of ticks/fleas, we will spray your pup down with an all-natural solution made in-house that's safe for all skin/coat types. We will thoroughly check over your pup before and after every walk to ensure that any ticks or burrs aren't left unmissed. What happens if my dog gets injured on their walk? During the initial meet & greet, you will sign a veterinary release form that will be kept on file. In an event of illness/injury, the form authorizes us to seek medical attention at your clinic on your behalf. If this were to happen, you will be informed ASAP. *Note: We do thorough wellness checks prior to walks/treks and reserve the right to decline a walk in a case where we feel your dog is not suitable for a walk that day. What if my dog isn't spayed/neutered? Though we require that all NEW pack members be spayed or neutered if older than 1 year old when participating in group walks. We accommodate pet owners who've chosen to keep their dogs intact and offer private walks or treks as a great alternative! Where do you like to walk your pack? For our pack walks, we usually spend our time walking the Welland Canal Seaway or through neighbourhoods/parks/trails close to our clients home. On the hot days, We change our route and try to visit a private beach in NOTL or Sunset Beach! If your dog is joining us on a trek, you will often find us hiking through Woodend Conservation Park, Shorthills Conservation Park, Bruce trail or the Niagara Gorge. How will I know what my dog is doing on each walk? We believe it's important that clients stay in the loop on how their dog is doing. We offer our clients a free communication notebook where we let them know how much fun their dog is having & inform them if there are any changes in their dogs behaviour and/or health.Owners are welcome to leave notes for our walkers that would be read prior to their dogs walk.We offer this service at no extra cost, but ask that clients stay consistent with checking their notebook. Do you offer services to "out-of-towners"? Yes! We offer private dog walks or treks for visitors in Niagara.Whether it's coordinating a trek while you shop at the outlet mall or give your pup a private walk while Fido stays at the hotel,we offer it all! *Weekend rates apply *M&G via telephone/email.Walkers reserve the right to decline services if owners do not disclose essential information about their dog that could put handler or dog at risk/harm.